Why don't we just wrap the entire solar system in aluminum foil so we can capture every bit of energy released by the sun, and use that power to rebuild Earth and even re-engineer our neighboring terrestrial planets? That idea sounds almost as crazy today as it did half a century ago, when it was first proposed by one of the world's most creative thinkers. But in some ways, we're moving closer. No one is talking about building the "Dyson Sphere" that astrophysicist Freeman Dyson conceptualized so long ago, but some thought is being given to far out ideas that could move us closer to taking control of our planet. But are they feasible? Can we really figure out how to use orbiting solar power plants to deflate and redirect hurricanes? Can we build mini-volcanoes that will flood the upper atmosphere with tiny particles to help shield us from the sun and curb global warming? Can we eliminate major earthquakes? It's called geo-engineering, and for a long time it wasn't taken seriously. But some scientists have warned that our unintentional alteration of global climate means we can make a difference. If we can make Earth warmer without even trying to do so, we may be able to make it cooler. No possible solutions, they say, should be automatically taken off the table, even if they sound a bit nutty. But the problems with each of these ideas begins at the most basic level. We don't understand enough about our planet and its atmosphere to try to re-engineer it without grave risks, according to testimony before the U.S. Congress. It took scientists decades just to realize we were changing Earth's climate by releasing greenhouse gasses. 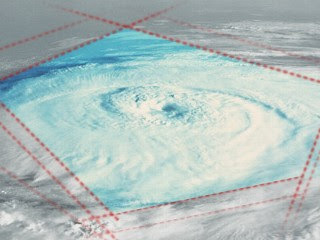 "The growing evidence that human activities can affect the weather on scales ranging from local to global has added a new and important dimension to the place of weather modification in the field of atmospheric sciences," Michael Garstang, chairman of a research committee appointed by the National Academies of Science and Engineering, testified before a congressional committee in 2005. "There is a need, more urgent than ever, to understand the fundamental processes related to intentional and unintentional changes in the atmosphere."